Who said we never get proper winters anymore? Horses, once the main source of power on farms were mostly replaced by tractors and combine harvesters in the twentieth century. Before snowploughs and gritters came into existence the horse was responsible for clearing the snow-bound roads. the two photographs above were taken in Hutton-Le Hole. 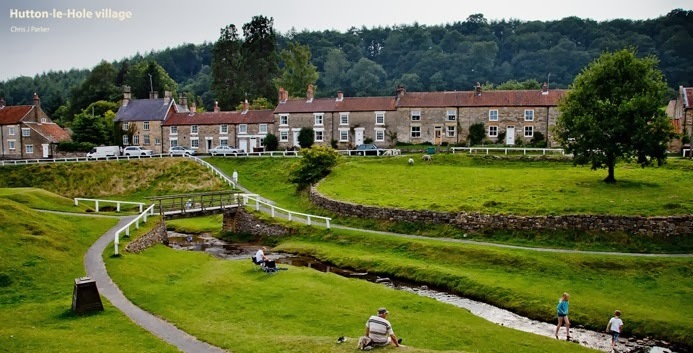 The photographs in this post are from the archive collection at Ryedale Folk Museum. Thery depict some of the tasks that were undertaken by horses such as ploughing, pulling a reaper and potato harvesting. 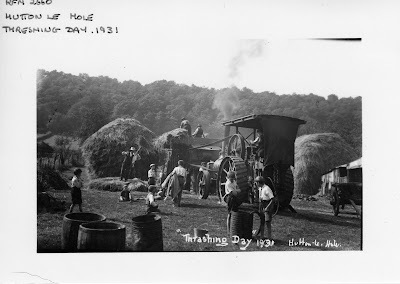 Threshing was mainly done with the aid of a steam engine, but these were gradually phased out with tractors replacing them. This gentleman is demonstrating how corn was threshed before the advent of a horse drawn reaper. 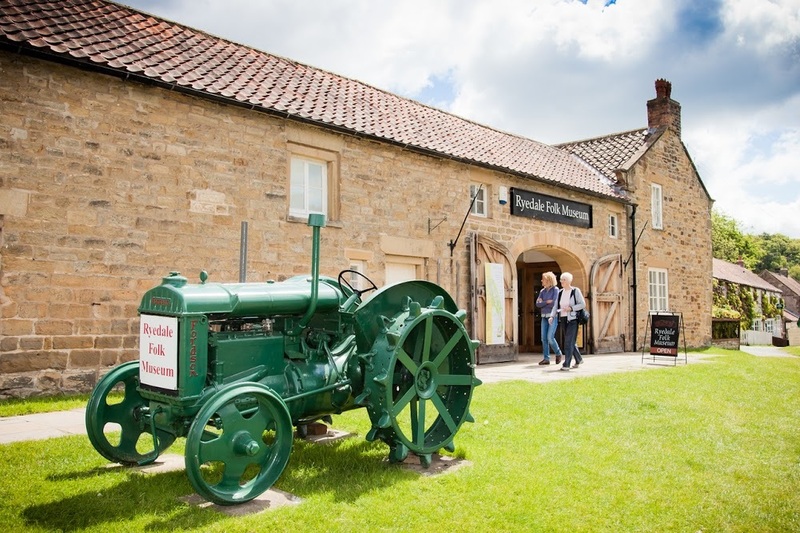 Merry Christmas and a Happy New Year From Everyone at Ryedale Folk Museum.